Scalp infections are one of the main causes of hair loss. Infusing garlic into your hair oil or shampoo is a great solution for hair loss. Odourless garlic shampoos are also available commercially. Garlic has strong antibacterial and antifungal properties which can help treat scalp infections. One of the leading causes of hair loss is scalp infections. Bacterial or fungal infections of the scalp cause inflammation of the follicles and can result in poor or no new growth and falling out of existing hair strands. 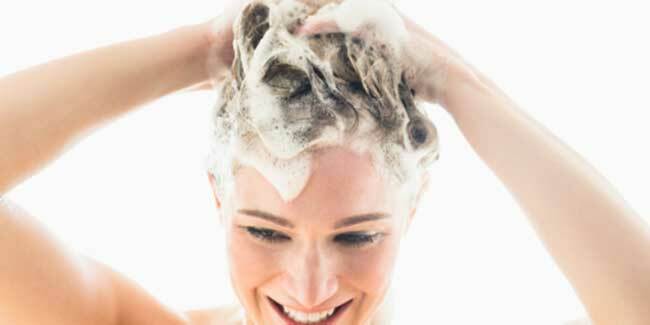 Using garlic shampoo regularly can help treat the infection and stop hair fall. Many commercially produced shampoos contain garlic extract additives as a solution for scalp infections and hair loss problems. Some shampoos are also marketed as being odourless, since garlic odour can be quiet intense and pungent. However if you are concerned about the effectiveness of such shampoos or the quality and quantity of garlic extract used in these products, you can easily make a homemade version. Following this garlic hair treatment regularly can prevent hair loss and make your hair shiny and full. To make your own garlic shampoo it is vital to choose good quality garlic. Look for clean large cloves with dry unbroken skin. Take around 10-15 cloves and crush them into a fine paste and sieve this paste through a fine mesh and extract the juice. You can mix a few drops of essential oils like peppermint or lemongrass in this extract to get rid of the garlicky smell. Mix this extract with a good quality organic shampoo. An herbal and organic shampoo is a good choice since a shampoo with too much chemicals is going to undermine the benefits of garlic. Store this homemade shampoo in a clean plastic or glass bottle and use it thrice a week. For added benefits oil your hair before every wash by using garlic infused hair oil. Take the effectiveness of your oiling treatments up a notch by infusing garlic in your hair oil. Take a couple of cloves of garlic and roughly chop them up. Warm olive oil, coconut oil or any hair oil of your choice, on the stove or in the microwave. Add the garlic into your hair oil and let it infuse for a while. Use this oil for your head massage and wash it off after one hour.